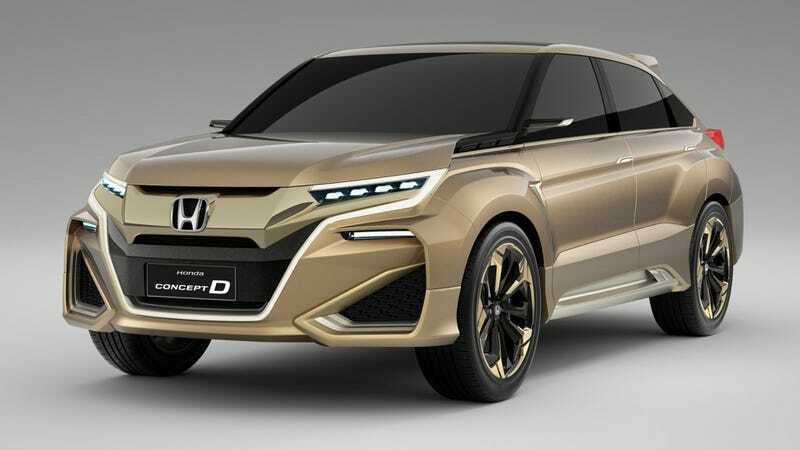 This is the 2015 Honda D Concept, which Honda says “shows the direction of a mass-production SUV model” they’re already working on exclusively for China. Looks straight out of the now-defunct import tuner mags I used to read in high school, and actually kind of awesome. Now I get to write “is China ready for the D or what! ?” (Pause for laughter). But seriously, I’m into this. Full disclosure: I liked the Accord Crosstour and Acura ZDX too. What do you think?